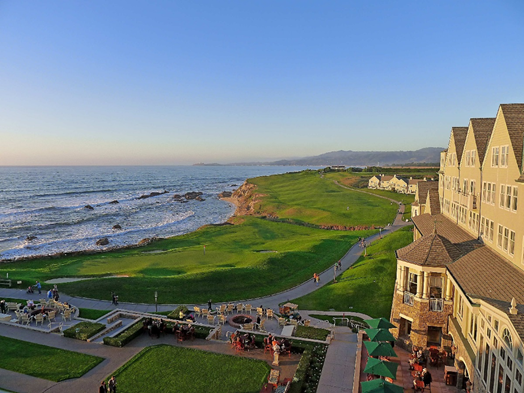 Enhance your golf game with two championship courses at our California resort. 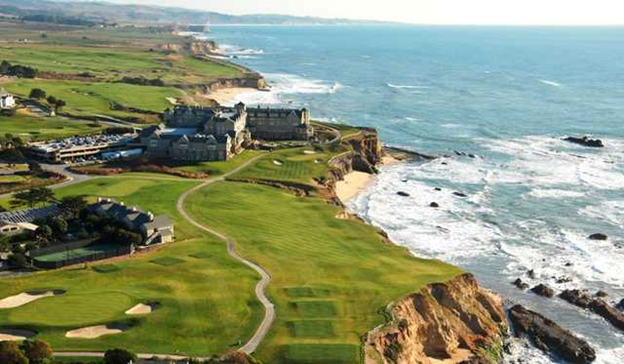 At The Ritz-Carlton, Half Moon Bay, our golf resort offers more than simply an inspiring setting. 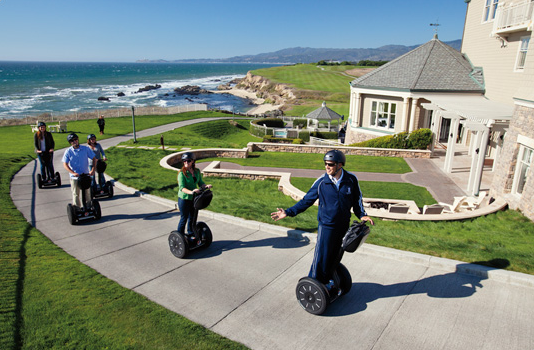 Set along the California coast, atop a scenic bluff, our resort features two championship golf courses, each offering a unique terrain and style of play. The historic parkland-style Old Course features cypress trees and an 18th hole overlooking the ocean. More challenging play can be enjoyed on the Ocean Course, featuring rugged terrain and an ocean view from every hole. 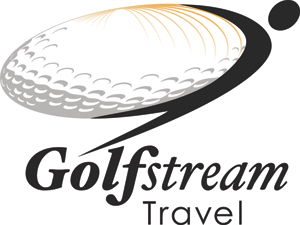 It is a true rarity to find two world renowned golf courses - sisters by location, yet distinguishably different in design. With sweeping 180-degree ocean vistas on the finish and natural terrain that stretches from pines to cliff edge, these two internationally celebrated Bay Area golf courses offer uniquely different experiences. From the firm and fast links style of the Ocean Course to the American traditional parkland style of the Old Course, with iconic cypress trees, dogleg fairways and distinguishing edges all leading to the most photographed final hole in golf – golfers are guaranteed a landscape that provides inspiration every time. 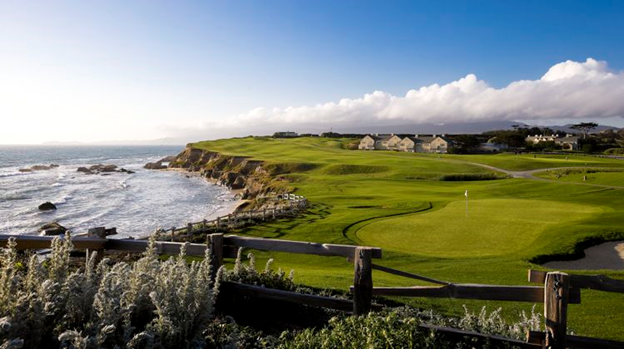 Ideal playing conditions, salty breezes and enchanting coastal terrain put these two 18-hole championship Half Moon Bay golf courses on a par with Scotland’s greatest. Indulge in the ultimate Ritz-Carlton experience with a luxurious guest room or suite on our renowned Club Level. This private lounge on the 5th floor features an endless array of beverage and culinary offerings throughout the day, coupled with the finest personal service to ensure that memories of your vacation are lasting and your business needs are fulfilled. Views from the Club lounge and adjacent Club Level guest rooms boast the stunning natural beauty of the rugged California coastline. Toast the sun's descent with a glass of champagne in the Club lounge and view an unforgettable performance of day becoming night. Our dedicated Club concierge team is here to make your experience on Club exceptional, relaxing, and comfortable. From dining reservations to planning family excursions, no request is too big or small. Access to The Club Lounge, offering an array of amenities including movies, games and continuous complimentary food & beverage offerings throughout the day with breakfast, light snacks, hors d’oeuvres, cocktails and cordials. The culinary specialties offered within The Club Lounge feature seasonal and regional ingredients, providing fresh creations which are always signature to California. The Club Lounge provides the perfect setting for guests to conduct business, plan a family outing, or just simply unwind. A dedicated Concierge tends to your individual needs. Five culinary offerings presented throughout the day. Breakfast, snacks, hors d'oeuvres, desserts, cordials and selected beverages. A relaxed environment with separate sitting areas. 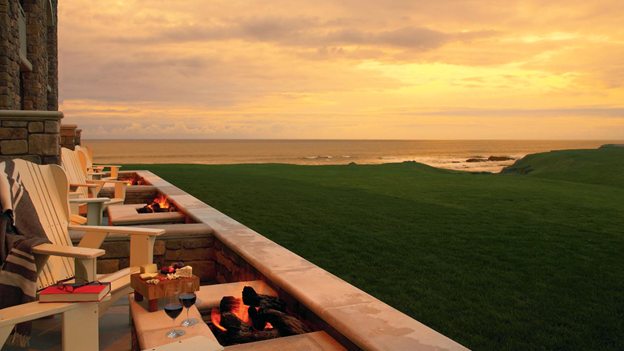 Fireplace and sweeping views of the Pacific Ocean. Club Breakfast 7 to 11 a.m.
Light Snack 2 to 4 p.m.
Hors d’Oeuvres & Cocktails 5 to 8 p.m.
Evening Desserts 8 to 10 p.m. 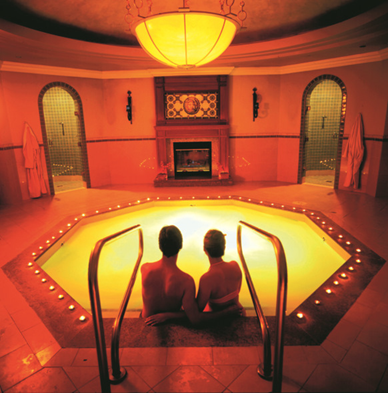 Escape worldly cares at our Northern California spa resort. The soothing sound of crashing waves, the beauty of the Northern California coast and treatments incorporating local ingredients are among the highlights at our Half Moon Bay resort spa. Here, the outside world is shut out, and guests can immerse themselves in an experience intended to not only heal the body but rejuvenate the spirit. The spa menu spa menu features an array of new crushed pearl products as well as facial, body and massage therapies, including signature treatments such as the Pumpkin Facial, Ocean Mist Stone Ritual and Matanzas Creek Luxurious Lavender Body Massage. Amenities at our Half Moon Bay spa are tailored to pre- and post- treatment enhancement, and include a co-ed Roman mineral bath with fireplace, sauna and steam room. While the spa at this Northern California resort features a full-service salon and 16 treatment rooms, including two couple’s suites and a Vichy shower room, hotel guests can enjoy a more private spa experience with in-room bath treatments. Savor a dining experience that celebrates local offerings at our Half Moon Bay resort. 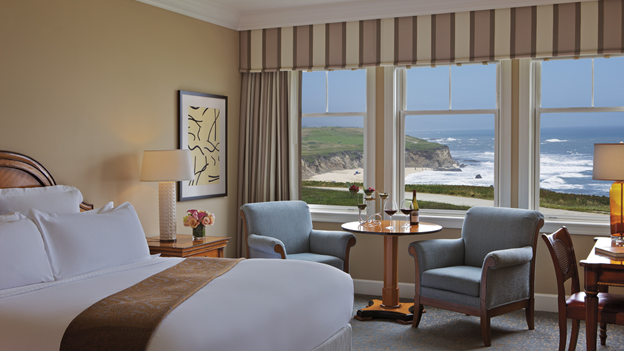 Set in the Pumpkin Capital of the World, surrounded by organic farms and world-renowned wineries, The Ritz-Carlton, Half Moon Bay has access to the finest offerings of the area. Diners at our Half Moon Bay restaurants have the opportunity to explore them all. At Navio Ocean cuisine is created with farm-fresh produce and served in a nautical-inspired setting with spectacular ocean views. 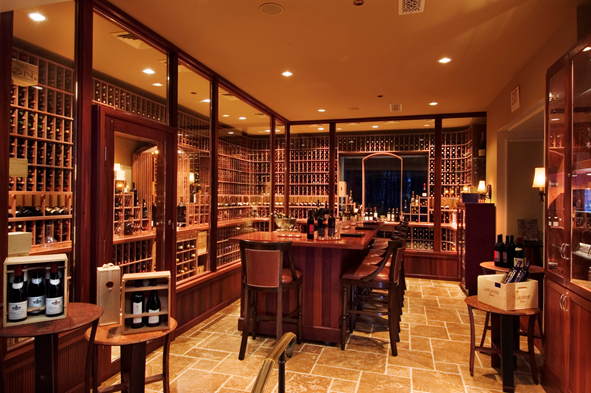 Wine aficionados and novices alike can sample selections by the bottle or glass at ENO-Wine, Cheese and Chocolate, creating their own personal tasting experience at the expert hands of our sommeliers. 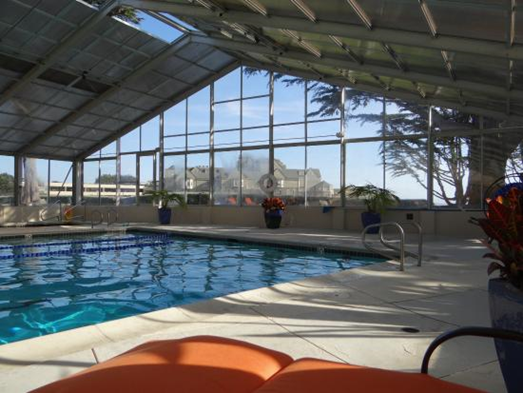 The oceanfront setting of The Conservatory is the perfect place to partake in the weekly Burgers, Beer and Jazz, and is also the all-day dining venue at our Half Moon Bay hotel. Those who want to sip wine to a soundtrack of crashing waves will enjoy the outdoor Ocean Terrace, the ideal setting for sunset cocktails. Breakfast Monday to Saturday 6:30 to 11 a.m. Lunch Saturday noon to 2 p.m.
Dinner Wednesday to Sunday 6 to 9 p.m.
Sunday brunch; first seating at 11 a.m., last seating at 2 p.m.
Burgers, Beer and Jazz every Thursday from 7 to 10 p.m.
Daily 11 a.m. to 11 p.m.
Breakfast Sunday 7 to 11 a.m.
ENO is an upscale Bay Area wine bar that offers flights of wines, cheese and chocolate, as well as wines by the glass. Our sommeliers specialize in introducing guests to new and interesting wines and educating them on every aspect of wines, wineries and varietals. Open Wednesday through Friday, 4 p.m. to 10 p.m.; Saturday and Sunday, 3 p.m. to 10 p.m.
Wednesday to Friday 4 to 10 p.m.; Saturday and Sunday 3 to 10 p.m.